Change isn’t a bad thing. The Toyota 4Runner may be growing up right before our eyes, but that can only benefit potential buyers. After all, Toyota has continued to evolve the nameplate, leading to perhaps their best offering yet for the 2019 model year. Whether you’re considering buying a new SUV or pursuing Toyota lease deals, you’ll want to see everything this vehicle has to offer drivers. You’re going to appreciate the performance specs that are emanating from the 2019 Toyota 4Runner’s engine. The 4.0-liter V6 engine delivers some of the best numbers in the entire class, leading to a one-of-a-kind driving experience. Ultimately, the hulking engine can deliver up to 270 horsepower and 278 pound-feet of torque, all leading to an incredible 5,000-pound towing capacity. Teaming up with a five-speed ECT-i automatic transmission (with sequential shift mode), drivers can easily shift gears while taking advantage of all of the engine’s capabilities. Inclusions like the Variable Valve Timing (with intelligence) will assure that you’re getting the most torque out of your SUV. Meanwhile, features like the Automatic Limited Slip Differential and the traction control system will assure that drivers always have an optimal handle of their new ride. SUVs are already known for their power. However, Toyota wants to provide their customers with more than a whole lot of power, and that’s why they’ve built the 4Runner to provide an unmatched driving experience. Similar to any SUV, the 2019 Toyota 4Runner will provide drivers with a whole lot of cargo space. However, even with this logic in mind, you’ll still be surprised at what the nameplate manages to provide to owners. The vehicle is able to deliver 47.2-cubic-feet of space when the second-row is in place, meaning you can easily fit your family and all of their luggage as you’re preparing for a lengthy road trip. However, if you need to fit larger, bulkier cargo, you can capitalize on the fold-flat second-row seats to unlock up to 89.7-cubic-feet of cargo space. The SUV even makes it easier to load your cargo, as the available pull-out cargo deck can hold up to 440 pounds, making your life a whole lot easier. Cargo space is basically synonymous with SUVs. However, we’re sure you weren’t expecting those kinds of numbers coming from the 2019 Toyota 4Runner. Of course, the 2019 Toyota 4Runner’s interior does a lot more than provide owners with plenty of cargo space. Rather, customers will also have the ability to take advantage of an assortment of enticing technological amenities. For instance, the 6.1-inch high-resolution touchscreen display provides quick and easy access to an assortment of applications, making it more than easy to choose your preferred program. The system also includes an Integrated Navigation system, meaning you’ll never have any issues getting to your desired destination. If you’re going to be jamming out to your favorite tunes thanks to the smartphone compatibility, then you’ll surely appreciate the inclusion of the available 15-speaker JBL sound system. Thanks to the accompanying subwoofer, occupants will be able to appreciate an unmatched listening experience. Some of these amenities also have an impact on driver comfort. For instance, the heated and ventilated front seats will keep you comfy throughout your journey, while the eight-way power-adjustable driver’s seat will consistently provide you with your optimal vantage point of the road. The power moonroof is another notable technological amenity, as this inclusion can provide your interior with some fresh air throughout the summer months. You’re surely expecting some assortment of technological amenities when you opt for a modern SUV. However, Toyota’s engineers took it to a whole new level when it comes to the 2019 Toyota 4Runner. Predictably, Toyota also provides their customers with the opportunity to choose from a number of enticing paint colors. While you may have a tough time choosing between these options, you’ll surely be happy with whatever color you end up opting for. Considering the unique names, you may have difficulties imagining how these paint colors will look on your SUV. Therefore, it’s in your best interest to head down to a local Toyota dealership and check them out for yourself. Finally, Toyota has always been focused on keeping their passengers protected. Well, owners of the 2019 Toyota 4Runner will surely appreciate all of the safety functions that are included in this year’s variation of the SUV. The vehicle is equipped with features that will protect drivers in the event of a collision. The eight standard airbags should prevent your occupants from experiencing any injuries during a crash, while the side-impact door beams provide those passengers with an extra bit of protection. 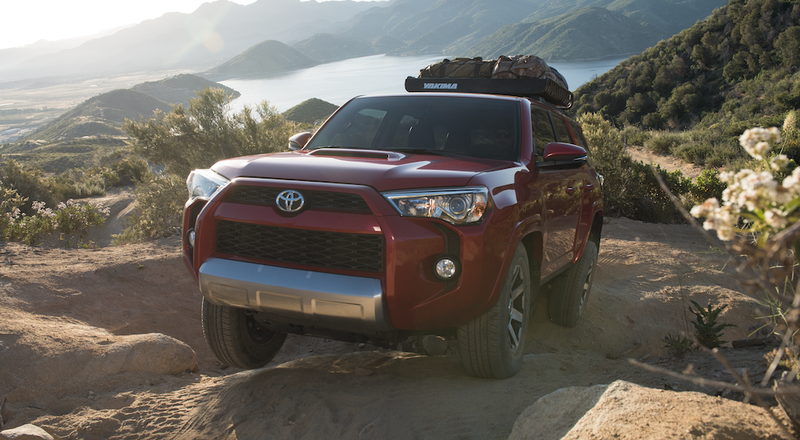 For 2019, the 4Runner gains in both the looks and the capability departments thanks to two new offerings. The new Nightshade Special Edition will offer Limited buyers a sleek, sporty package accented with black features that include 20-inch black wheels, black bumper and grille accents, and black interior trim on the steering wheel, center cluster, console panels, and shifter, just to name a few. 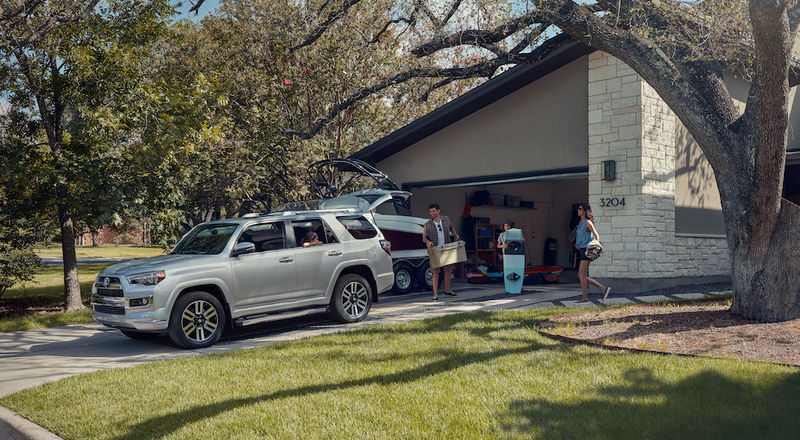 If you’ve decided that you’re going to lease a 2019 Toyota 4Runner, then it’s time to start shopping. 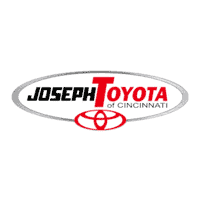 If you live in the Cincinnati, Ohio area, there’s no better place to complete that lease than Joseph Toyota. The dealership doesn’t only have the best prices and a vast inventory. Their services will come in handy before and after you’ve made a purchase, meaning Joseph Toyota will be by your side throughout the ownership of your new 4Runner.